I just got back from the Indiana State Museum and its quilt exhibit, 19 Stars. The exhibit marks the beginning of a celebration for Indiana’s bicentennial. There are 19 stars in Indiana’s state flag and that inspired the name for the exhibit. The exhibit is really unusual, so I urge you if you can to visit it before it closes on Sunday, October 4th. The exhibit is divided into two distinctive groups of quilts: quilts from the museum’s historical quilt collection, and new quilts designed and crafted by award-winning Indiana quilters for this exhibit. The contrast between the old and the new quilts is striking but one thing unites them (besides the fact that they all contain stars of course): an exquisite eye for color, design, and craftsmanship. To support the exhibit, the Quilter’s Guild of Indianapolis had many volunteers come and demonstrate the art of quilting to museum visitors. I want to send a very special thank you to the many guild members who volunteered their time to support the museum and the art of quilting. Thanks everyone! I’ve been pretty busy lately, getting my quilts ready for two shows— the October biennial quilt show by the Quilters Guild of Indianapolis and a special exhibit of modern quilts at the Quilter’s Hall of Fame. I’m pretty excited about both, I can tell you! It seems that there are a lot of quilt shows and special exhibits at this time of year, so I bet you’re getting ready for a few yourself. So what exactly does it take to get a quilt ready for a show? Well, it all depends. I’m getting my quilts ready for exhibit in the Hall of Fame and for my local guild show, so that means I have to sew a 4” sleeve on the back of my quilts (all except the miniature ones). The type of sleeve I like to use is called a D sleeve, and it poofs out just a bit. A D sleeve allows a quilt to hang straight and not bow out at the top when the hanging pole is inserted into the sleeve. Right before the last Guild show, a friend in one of my quilt bees confessed that she wasn’t sure she was going to enter a quilt in the show. We all thought that maybe she didn’t think they were good enough, because everyone gets doubts about their work from time to time. The notion was totally ridiculous (as they often are) because her quilts were gorgeous, so we soon talked her into entering some into the show. Privately, she later admitted to me that what was stopping her was the idea of putting a sleeve on her quilts. She had no idea what to do and found it a bit embarrassing to have to ask since she was an accomplished quilter. So as I was working on prepping my quilts this week I remembered my friend and thought I’d share my process in case any of you want to know how to add a sleeve to your show quilts too! Before I put any quilts into a show or exhibition, I make sure they are all properly labeled. So I’ve been printing out labels and adding them to my quilts this week. I always stitch my labels to the lower right corner of the quilt back. I use the blind (applique) stitch to stitch my labels on. Another thing our show requires is that every quilt is dropped off in some kind of cloth bag. Many of our guild members purchase pillowcases for that, but I like to make mine to match the quilt. So this week, in addition to adding labels and hanging sleeves, I’ve been making tons of pillowcases. Aren’t they cute? Are any of you submitting your quilts to a quilt show? Let me know here in the Comments section. 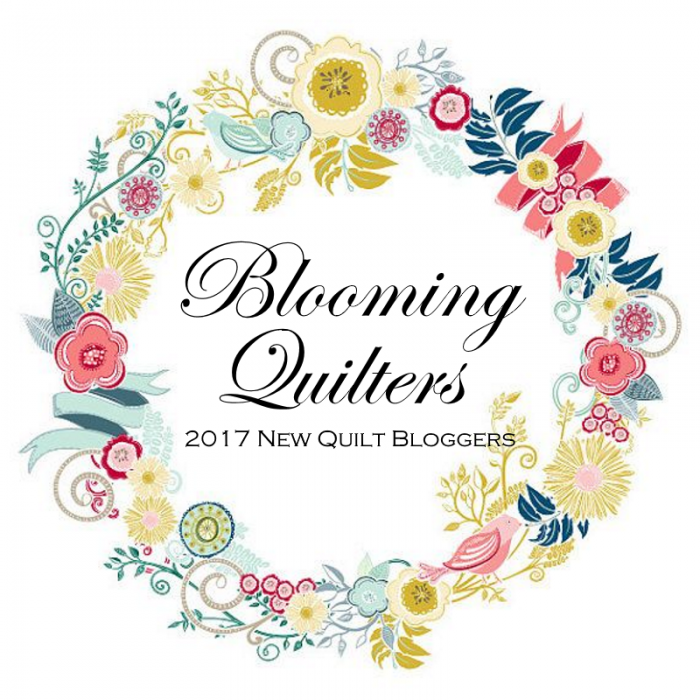 What tips or techniques would you like to share with other quilters entering a quilt show? What makes a quilt show a great one in your opinion? I can’t wait to hear from you all! Well, gotta get back to my quilt prep. Happy almost-fall everyone, and I hope to see you at the QGI Quilt Show and the Quilters Hall of Fame!